One Park West is a 17-storey building in central Liverpool, England, designed by architect César Pelli. Bordering Chavasse Park, it is part of Liverpool One, a 42-acre (17 ha) £920m redevelopment of Liverpool's city centre, the developer was the Duke of Westminster's Grosvenor Group. One Park West consists of 326 apartments, offices, restaurants, cafés and parking. Blocks B and A of One Park West are the 21st and 31st tallest buildings in Liverpool respectively. Argentinian architect César Pelli – best known for designing Petronas Towers in Kuala Lumpur – and his team at Pelli Clarke Pelli Architects worked with the masterplan of the Paradise Project to create a design that fitted with the proposal for the rest of the site. 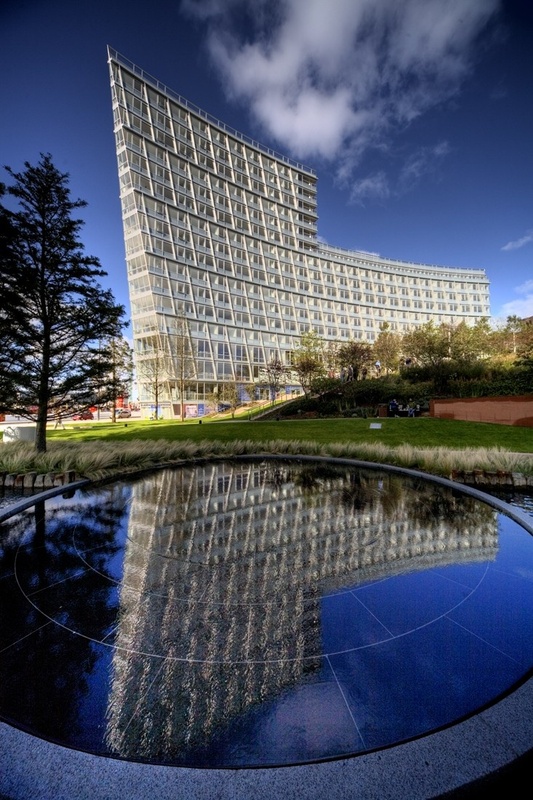 One Park West is the first Pelli-designed building in the UK outside of London.